In partnership with the ReACTs, and harnessing the advice, knowledge and expertise of regional service providers, the ACT-NOW team provides a range of training opportunities tailored to meet the needs of each region. Regional calendars outline all training related to young children with an autism spectrum disorder and their families provided by both ACT-NOW and local service providers. 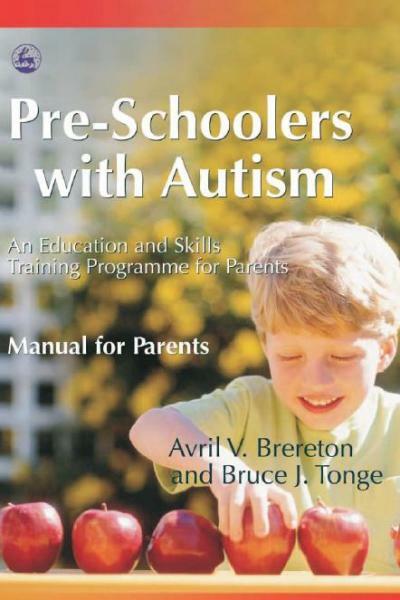 ‘Preschoolers with Autism' (Brereton & Tonge, 2005) is an effective, manualised parent education programme that was developed by the authors as a response to their concern that parents and carers of young children with autism can easily be left out of the learning loop right from the start. Their aim in designing this programme was to help parents/carers of young children with autism to understand what autism is and how it affects their child's development, play and behaviour, communication skills and ability to socialise with others. The authors' view is that families do better when parents/carers have the opportunity to work in partnership with professionals. Meeting with other parents whose children have autism to share feelings and experiences is also important. The ‘Preschoolers with Autism' programme was designed for children with Autistic Disorder diagnosed using DSM-IV criteria, aged 3-5 years and diagnosed within the previous 12 months. It is a 20 week programme with 10 group sessions (90 minutes) and 10 individual sessions (60 minutes). The groups have a maximum of 5 families. The authors recommend that this parent education programme be delivered by an experienced clinician with a strong background in child development, experience working with children who have autism and their families, and experience in counselling or group work. Tonge, B., Brereton, A., Kiomall, M., MacKinnon,A., King, N., & Rinehart, N. (2006) Effects on Parental Mental Health of an Education and Skills Training Program for Parents of Young Children With Autism: A Randomized Controlled Trial. Journal of the Academy of Child and Adolescent Psychiatry. 45. 461-569. Manuals can be purchased from Booktopia. 'ASDs: Planning a successful transition to primary school' Brereton & Bull (2010) is programme for the child's transition team. Starting school is an important and exciting step for young children and their families, but it can also be a difficult time for some. When a child has an Autism Spectrum Disorder (ASD) the transition usually involves extra challenges and may be a source of stress and anxiety for parents/carers, professionals and the child. Successful transition to school requires careful planning, preparation and communication that lead to a shared understanding of each child. The ‘ASDs: Planning a successful transition to primary school' training material has been written for parents and professionals working in early childhood services, primary schools and specialist schools who are planning the transition for young children with an ASD. The focus of the training is to assist these people (the transition team) to work together to develop a shared understanding of the child and prepare a transition plan. It is not intended to be a crash course in how to teach children with an ASD. It provides basic information about the core features of ASDs and how they affect young children's thinking and learning, communication, social relating, play skills, emotions and behaviour. It also provides templates to guide the transition plan and the gathering of relevant and useful information prior to the student with an ASD coming to school. The training material includes also includes video footage of families discussing their own experiences and responses to having a child with an ASD and what happened when their children made the transition to primary school. ‘Autism Spectrum Disorders in the Preschool Years' Brereton, Bull and Tonge (2009) is a series of three, two-hour workshops for early childhood educators and parents. The workshops cover the core features & early signs of autism, communication, social interaction and play skills and understanding and managing behaviour. The workshops emphasise the importance of parents and professionals working together to develop a shared understanding of the child and strategies to support the child's inclusion in early childhood services. The ‘ASDs in the Preschool Years' training manual has been designed for practitioners working in Early Childhood Intervention Services (ECIS) to provide free, local and consistent information to parents and staff working in kindergarten and long day care services. The manual includes speaker's notes, a CD-Rom of the power-point presentations, including imported DVD footage, handouts and suggestions for further reading.